This duck is aptly named for its golden-yellow eye. Adult males have a dark head with a green shimmer, a round white patch under the eye, a dark back and a white belly and neck. 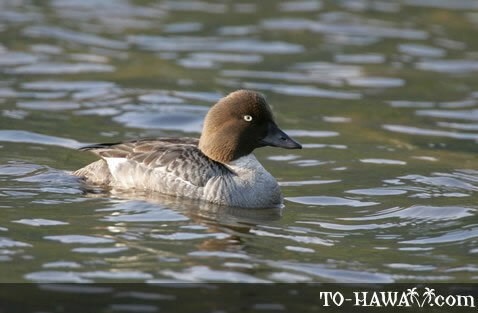 Adult females have a brown head and a grey body. Their feet and legs are orange-yellow.